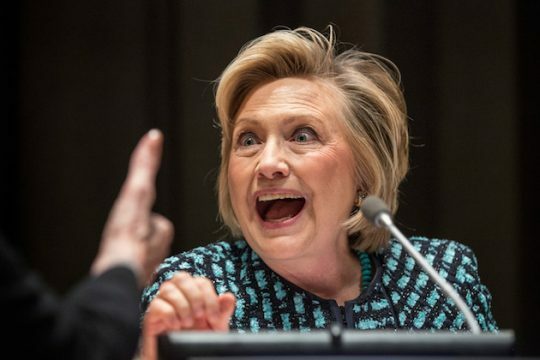 Former Secretary of State Hillary Clinton struck a deal with the State Department while serving in the Obama administration that allowed her to take ownership of records she did not want made public, according to recently released reports. Clinton and her then-deputy chief of staff Huma Abedin were permitted to remove electronic and physical records under a claim they were "personal" materials and "unclassified, non-record materials." Judicial Watch made the revelation after filing a FOIA request with the State Department and obtaining a record of the agreement. The newly released documents show the deal allowed Clinton and Abedin to remove documents related to particular calls and schedules, and the records would not be "released to the general public under FOIA." Abedin, for instance, was allowed to remove electronic records and five boxes of physical files, including files labeled "Muslim Engagement Documents." The released records included a list of designated materials that "would not be released to the general public under FOIA" and were to be released "to the Secretary with this understanding." A physical file of "the log of the Secretary’s gifts with pictures of gifts" was also handed over to Clinton. Gifts received by government employees is highly regulated, and often strictly limited. However, gifts that are "motivated by a family relationship or personal friendship" may be accepted without limitation. Judicial Watch President Tom Fitton released a statement condemning the agreement between the government and Clinton. "We already know the Obama State Department let Hillary Clinton steal and then delete her government emails, which included classified information. But these new records show that was only part of the scandal," Fitton said. "These new documents show the Obama State Department had a deal with Hillary Clinton to hide her calls logs and schedules, which would be contrary to FOIA and other laws." "When are the American people going to get an honest investigation of the Clinton crimes?" he added. This entry was posted in National Security and tagged Hillary Clinton, Huma Abedin, Judicial Watch, Obama Administration, State Department. Bookmark the permalink.